Are your chickens and other birds Pullorum-Typhoid Disease free? 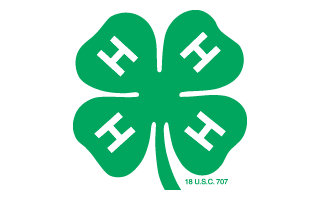 As you are making plans to show or exhibit your poultry and fowl at County 4-H Fairs and other public venues this summer, be sure to make arrangements to have your chickens and other birds tested by a certified tester to document that they are Pullorum-Typhoid clean. What is Pullorum Disease and Fowl Typhoid? Even when a bird looks healthy, it may be carrying certain bacteria or viruses. This is the case with Pullorum-Typhoid Disease, an infection that can impact an entire flock. Pullorum disease is an infectious poultry disease caused by the bacterium Salmonella pullorum. The disease affects mainly young chicks and poults, but can also affect older chickens, game birds, guinea fowl, ostriches, parrots, peafowl, ring doves, sparrows, and turkeys. Fowl typhoid is an infectious poultry disease caused by the bacterium Salmonella gallinarum. The disease affects mainly mature or growing chickens, but has the ability to affect all chickens, ducks, grouse, guinea-fowl, peafowl, pheasants, quail, and turkeys. Both of these diseases are specific to birds and pose a low risk to human health. 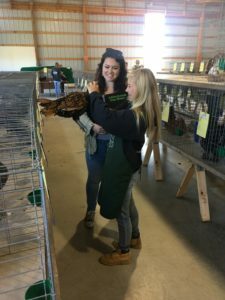 The state requires that all birds going to shows or fairs be tested for Pullorum-Typhoid Disease. Only New Jersey certified blood testers (individuals who have taken the class within three years) may perform and certify the results of the pullorum-typhoid whole-blood plate test. All poultry, including baby chicks, exhibition, exotic, and game birds (including ostrich, emu and rhea but excluding waterfowl) going to public exhibitions in New Jersey shall originate from U.S. Pullorum-Typhoid clean or equivalent flocks OR all poultry over 4 months of age shall have an individual negative Pullorum-Typhoid test within 90 days prior to the exhibit. Turkeys shall be blood tested at more than 12 weeks of age. Game birds shall be tested when more than 4 months of age or upon reaching sexual maturity, whichever comes first. Ostrich, emu, rhea and cassowaries shall be blood tested when more than 12 months of age. All ostrich, emus, rhea, and cassowaries less than twelve months shall originate from Pullorum-Typhoid negative flocks. All birds less than four months of age shall originate from Pullorum-Typhoid negative flocks or poultry less than 4 months in age shipped directly from a hatchery shall be accompanied by a VS Form 9-3. Contact information for certified pullorum testers is available from Lisa de Lambert at the New Jersey Department of Agriculture, Division of Animal Health (lisa.delambert@ag.nj.gov or 609-671-6400). Infected chickens and other birds that don’t die of Pullorum-Typhoid Disease may grow to maturity and remain lifetime carriers. A negative test result from an authorized lab or a certified blood tester is required for all birds that will be exhibited. There are four testing methods available, but the most common test used to detect Pullorum-Typhoid Disease is the rapid whole-blood plate test. This tests the bird for immune substances called antibodies, which are proteins that are carried in the bloodstream following exposure to the disease. To detect antibodies in the blood, a solution called an antigen is used. The antigen is made from pullorum-typhoid bacteria that have been chemically killed and suspended in a salt solution. When this antigen is mixed with the blood of a diseased bird, the antibodies agglutinate. Simply put, this means that the pullorum-typhoid antibodies clump together with the antigen. A bird showing this type of result is labeled as being a reactor. Since the blood of a healthy bird does not contain pullorum-typhoid antibodies, no clumps form when its blood is mixed with the antigen. Preventing the spread of Pullorum-Typhoid Disease can be directly attributed to the rapid whole-blood plate test. This simple test, when properly done, accurately detects birds carrying pullorum-typhoid antibodies in their blood.